The Life of Bon: Syrian Refugees: How Can I Help? I've been involved in a few really cool projects through this blog. But none as cool or as important or worth your time as this one. The past several months I have, as I'm sure many of you have, been troubled by the Syrian refuge crisis. How can we help these people? I think I probably speak for a lot of people that it's hard to hear of these types of things happening--- of the suffering, the pain, the families being torn apart--- and not know how or what to do to help. For me, I feel helpless so much of the time. I am so excited today to be partnering with CARE.org to provide real, immediate ways that we can help. What exactly is going on in Syria? Here's a brief overview, provided by CARE's website. Intense fighting in Syria has forcibly displaced more people today than any other country – and there is no end in sight to the conflict. Every day, thousands of Syrians flee violence to seek out food, protection, medical care and other urgently-needed aid, mostly in Jordan, Lebanon, Turkey and Egypt. 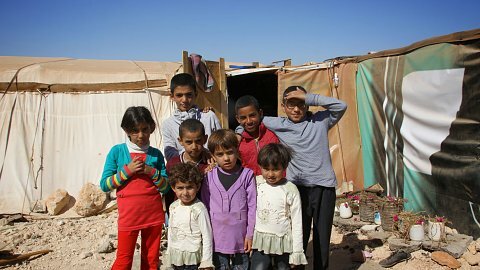 There are 12 million people inside Syria displaced or in desperate need of humanitarian aid. At least half of the displaced are children. While safer, life outside of Syria is increasingly difficult. Having left most everything behind, the majority of the 4 million refugees are struggling to meet the most basic needs including unemployment, rising living costs and lack of education for their children. Housing, schools, health clinics and local economies of the host countries are overwhelmed and the needs of both refugees and the communities hosting them are growing by the day. 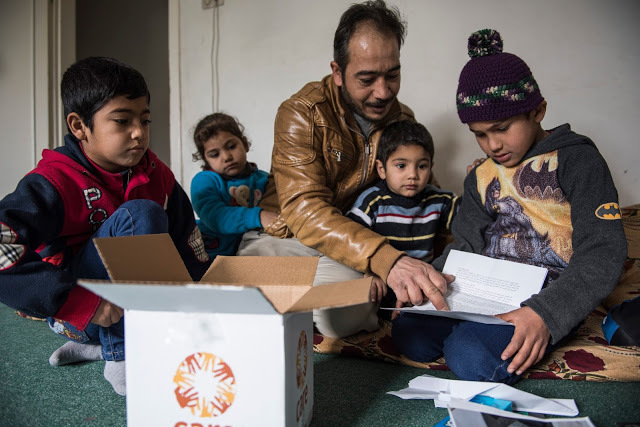 CARE is reaching people impacted by the conflict, with humanitarian assistance, in Jordan, Egypt, Lebanon, Yemen and inside Syria providing life-saving emergency assistance as well as solutions to help people cope with the longer term crisis. I'm excited today to prove some simple ways that you and I can help refugees. It is small enough that anyone can make time in their day to do it, and big enough that it will make a real and immediate impact. Here's the letter that I wrote. Hi! My name is Bonnie and I teach English in the United States. I hear on the news here about the wars in your country and that you have had to leave your home. I'm so sorry. I know you are in hard circumstances, but we are so proud of you here. I wish I could meet you and give you a hug. I would tell you that you are brave and that you are strong and that you can do hard things. I would hold you in my lap and read you books. Have hope! Hope to me means that you have faith in a better world--- that things will get better for you and your family. 2. Donate a care package. If you are in a position to give, then consider donating a care package to a Syrian refugee. 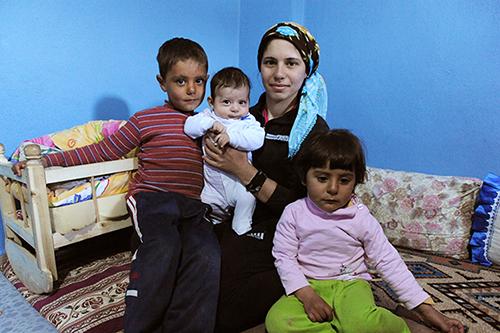 $10 can provide a family with a baby kit containing reusable diapers, soap and disinfectant. $35 can provide a hygiene kit with shampoo, soap, toothpaste, detergent, disinfectant, bleach and more. $70 can provide a basket of rice, bulgar, pasta, lentils, beans, dates, tuna, tomato paste, oil, tea and sugar. $150 can help winterize a shelter with a tarp and plastic sheeting, blankets, floor mats and more. 3. Share this post! Like #1, this option is totally free. The more people that are aware of ways to help, the more good we can do. You might not be in a position to help financially, but you uncle might be! I think that most people really do want to help, but we end up not doing anything simply because we don't know how to help or where to even start. I know I have felt that way many times. These are easy, simple things that anyone can do to help the 12 million Syrians who are being affected by the ongoing wars. Psst... while you are on CARE's website, look around at the other projects they are involved in. Providing relief for the crisis in Yemen, preventing child brides, educating women in third world countries... this is an amazing organization. This post is sponsored by CARE.org but the content and opinions expressed here are my own.